We offer a wide range of services so our customers can pick and choose which suit them best. Upstage operates within Chilliwack, Abbotsford, Hope, Mission, Langley, and all areas in between. We are focused on helping seniors minimize their living space to make it more manageable. For many, the thought of downsizing can be overwhelming. Whether you’ve lived in your home for generations, or only a few years, the thought of minimizing your space to a manageable size requires meticulous and organized planning. You don’t have to take on that responsibility alone. Upstage can help to clarify and establish your needs by discussing your desired vision of your future home and space. We tailor our services to meet the needs of our customers, because we understand every person and home is different. Our personal guidance, services, and advice can help make the transition from one home to the next not only smooth and manageable, but enjoyable. Every person and space is different. Every situation is unique. We’ll meet with you either one-on-one or with family, and help you decide what your needs are and how we can assist you. This initial consultation is complimentary. If you don’t have a realtor, we can help by introducing you to the trusted realtors we know. We work closely with some very talented real estate agents, who know the area, the people, and the market and work alongside seniors with patience, respect and integrity. We will stage your home to appeal to a wide range potential of buyers. To keep cost and disruption to a minimum, we use your existing furniture and only bring in art, pillows, and accessories as needed. We believe a home can show at its’ best with creating a feeling of flow, balance and light. The good news is that usually means putting away extraneous items that aren’t required for everyday living. So it’s a great first step in prepping for an imminent move. Staging can dramatically change the look and feel of a home, and even increase the value and speed at which it sells. Upstage has a depth of experience in staging and interior re-design and that knowledge results in the optimum furniture placement to create a space that potential buyers can see themselves in, want to be in, and that translates into offers. Any landscaping that’s needed before your home is put on the market will help increase its overall value. We work together with a reliable and talented landscaper, who will ensure the property has that first impression curb appeal needed when selling a home. Best of all, if we are managing your move, this service is included in the overall management. If your yard needs curbscaping, we will suggest it. If you prefer to opt out of this service, that is also an option. The hardest part of any move is deciding what to take and what not to take. Everything you own might have sentimental value, and we understand it can be hard to part with them. We treat everything you own with respect, and the most important part about the organizing and packing process is that you make the decision, not us. This process of deciding what to keep can take the most time, and sometimes requires significant consideration. We can walk through with you, or let you make those decisions in private, it’s up to you. At most we will provide a structured process to keep the items organized by clearly marking them as staying or going. This will allow you to sleep on some of those hard decisions, if you need to. Once the hard decisions have been made, we will organize and pack everything you’ve labelled as going to the new home. We will pack everything except your essentials, and the items you are not taking with you. Those items of unusual value, we will begin researching to ensure appropriate pricing at the Transition Sale. Once you’ve found a new home, we will measure and draw up a floorplan so that we know how much space there is in each room. We will then take measurements of all the furniture you have decided to take with you and ensure they will fit in the new place, and establish what will fit where. This is where our experience in interior design comes in; we can help you optimize the layout of your new home by suggesting the best placement of your furniture. We will present this floorplan to you so that you can see if you like the layout, or wish to move the furniture around to your liking. Here you can decide where you’d like your furniture to go. On move day Upstage will direct the movers where each furniture piece is to be placed, following the agreed upon floor plan. Once a move-in date is established, we will put together an organized and clear timeline. This will be a schedule of what will take place in preparation for the move. This will also be a good time to make any adjustments to the move date, shift the events around for your convenience, but ultimately, this timeline will help keep everyone on the same page. When moving day arrives, we start your day off right with a gift certificate for breakfast at the restaurant of your choice. Thereafter you spend the day at leisure at a friend or family’s home. If moving into a retirement location, the care home often can provide a space for you to spend the day while the move is happening. We oversee the movers as they pack the remainder of your items and furniture into a moving truck and bring it to the new home. 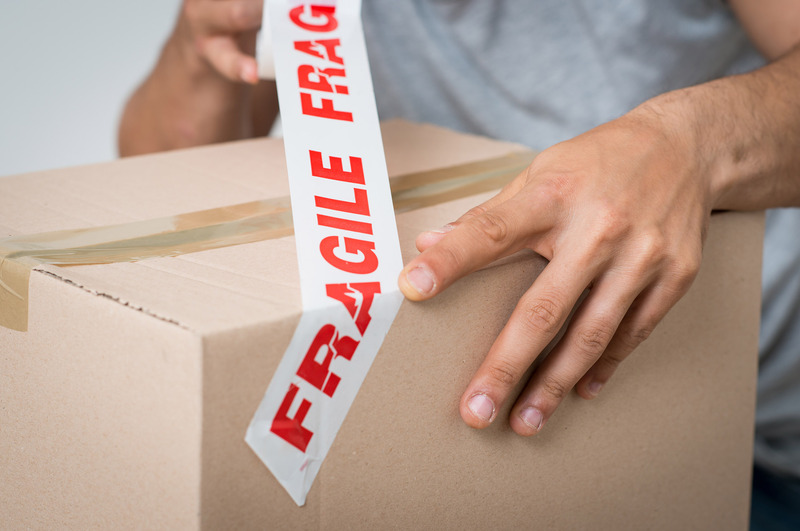 We use only the highest quality movers, who are insured, bonded and have all the correct equipment to ensure furniture is protected and arrives just as it left. Upstage will have one person positioned at the house of origin to identify the pieces that are to move (and stay), and another person positioned at the new house to identify exactly where the pieces are to be placed (accordingly to the aforementioned floor plan). This way you can rest, or go do something fun, and let us do the heavy lifting! Once all the furnishings and boxes have been moved to the new home, the unpacking begins. This is the day where our skill for organization and interior layout shines; we unpack, and design your new space so that at the end of the day, you come back to a home that is ready to be lived in. If someone wants to keep their home as similar to what it was previously, we will reference photos taken of the original home and try to recreate the picture and accessory placements as closely as possible to recreate it in the new. When you return home at the end of the day, you will find a home that is ready to be lived in; complete with a bed ready to crawl into. There will be no need to return to the original home, as everything you need and requested is there! Not having to see a home dismantled and moved is very helpful to offset the emotional upheaval that can come with a move. We will always ensure you are happy with the move and the design of the home. Since we unpacked your small things, we will want to make sure you can find all of your essential items. We also want to make sure you’re comfortable and settling well. Knowing that you are settled comfortably in your new home, we will return to the original house and begin the work of handling the remaining items. Unless the family is taking all remaining items, or everything is to be donated, we will hold a ‘Transition Sale’. This is not a garage sale; we do not disrespect your belongings by dragging things out on to the driveway. A Transition Sale would be likened to an Estate Sale, where there are a significant amount of items to be sold, and they are often still in good condition, and are clustered together in a meaningful way throughout the house. We will plan and organize this event from advertising it in the local newspapers and online, to researching the market value of special items, posting signage for the event, and pricing all items. On the day of the sale itself, a team of people will be there to welcome potential buyers, collect payment, ensure security of items, and work to sell the highest volume of items at the best possible price. Most people find it emotional to observe this part of the transition, so we recommend you let us handle the event and enjoy your new home. We will call you at the end of the day to let you know the outcome. No matter how sunny the day or large the crowd, there will always be items left behind from the Transition Sale. Subsequently, we will contact local charities and arrange for them to pick-up items they may be interested in. Charities have certain days of the week they will come with a truck and have windows of time they will come by. Upstage will be their contact for that. The final step, if needed, will be disposal. Now that the house is clear, we will ensure the home is cleaned and ready for the next owner. Just like the landscaping, cleaning is a service that is included in our move management service. You won’t have to worry about several small invoices, since all the contractor bills go through us at a preferred rate. We will handle all vendors and contractors so that you only have to deal with one point of contact: us. A transition handled professionally has many different elements that require specialized knowledge. We work with only the best vendors and contractors, and juggle all the pieces, so that you have all the best professional help, but with only one point of contact: us. Upstage operates within Chilliwack, Abbotsford, Hope, Mission, Langley, and all areas in between. You can find more details about our staging service here. Every person and space is different. Every situation is unique. We can meet with you to help determine what services you can benefit from.